Swedish 3PL provider, AA Logistik, has grown from one to over 100 customers in just a few years thanks in large part to Astro WMS®. Leveraging the flexibility and modularity of the system, AA Logistik maximizes customers’ logistics efficiency, transparency and ROI. Based in Västerås, Swedish third-party logistics (3PL) provider – AA Logistik – has been using Astro WMS® since 2014. In 2018, they decided it was time to upgrade and take advantage of expanded capabilities of the system. One particular module AA Logistik was interested in was OpDoc. A newly acquired European rental car company customer specifically requested custom labels, based on vehicle identification number (VIN), for the storing of wheels. Previously, AA Logistik produced all special labels using a spreadsheet program. The second upgrade feature that appealed to AA Logistik was X2 mobile client. As an expert in heavy – and challenging – industrial logistics and packaging, AA Logistik is accustomed to handling cumbersome products and equipment. Before the upgrade, picking equipment was hard-mounted on forklifts/trucks. This made picking smaller packages difficult and time-consuming. With X2 mobile client, pickers have all the information they need in one hand. When their client, SJ (a Scandinavian train-operating company), decided it was time to retrofit their train fleet, AA Logistik stepped in and provided logistics support. What made this project’s logistics challenging was that it consists of numerous subprojects. Each subproject required picking, packaging and shipping a variety of small parts. With Astro WMS® X2, pickers could easily access warehousing shelving, dramatically improving their fulfilment of each pick order. In conjunction with the upgrade in 2018, AA Logistik also expanded their influence in managing other aspects of their customers’ businesses. For their rental car company customer, AA Logistik – through Astro WMS® – was able to integrate their enterprise resource planning (ERP) system and provide this customer with enhanced trans­parency and logistics efficiency. Finally, AA Logistik looks forward to continuing their relationship with Consafe Logistics. In turn. Consafe Logistics is appreciative of the industrial and dangerous goods handling knowledge that AA Logistik has contributed to the ongoing development Astro WMS®. 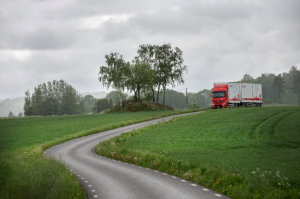 AA Logistik is a third-party logistics (3PL) company based in Västerås, Sweden. As a former member of AA International AB, AA Logistik can trace its supply chain roots back to 1872 and, until 2001, it was part of the ABB Group. 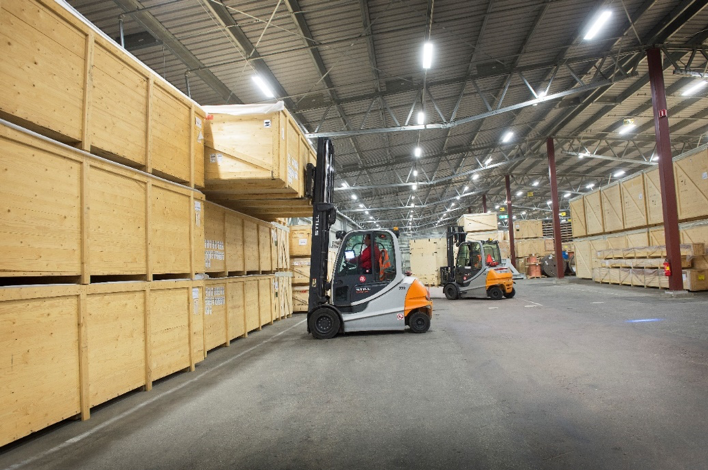 Since becoming independent, AA Logistik has increased its revenue fivefold, expanded its customer base from one to 100 and quadrupled its warehousing capacity. The company’s ambition is to develop long-term relationships with its agents and customers. With state-of-the-art warehousing management solutions, AA Logistik focuses on delivering flexibility, personal service and proactivity, improving customer efficiency and profitability.